Given that the modal length of teaching experience has now dropped to one year, finding ways to support the growth and development of new teachers has become of paramount importance. One critical way to provide this support is through effective feedback that improves instruction. 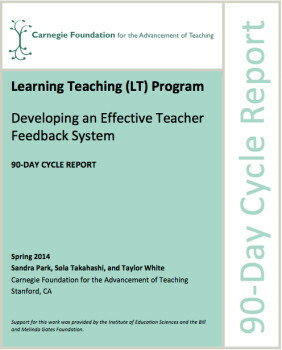 In this 90-Day Cycle we investigate the factors and processes that contribute to an effective feedback system, paying particular attention to how the system affects early career teachers and how such systems can coexist with extant and emerging teacher evaluation systems.